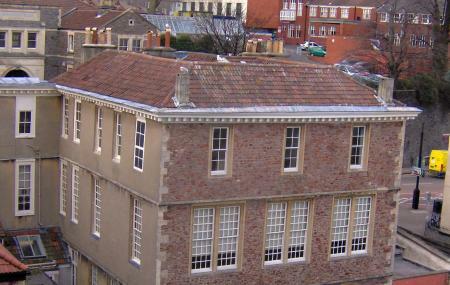 The Red Lodge Museum is a historic house museum in Bristol and is one of the best tourist attractions in the place. The red lodge is a free for all museums that is one of a kind in Bristol when it comes to the rooms and other architecture of the whole museum. The original building was Tudor/Elizabethan which was built in 1579-1580. The whole place is a great way to peek through the history of the city of Bristol and take a walk through the culture and the architecture of the city. Bus numbers 1, 2, 8, 9, 16, 19, 40, and 41all can take you to the destination from the Clifton Triangle. Bristol Temple Meads train station is a 25 minute walk from the destination. You can catch a ferry from Bristol Temple Meads to get closer to the location. Rentals and taxis are also available in the area. Love this? Explore the entire list of places to visit in Bristol before you plan your trip. Fancy a good night's sleep after a tiring day? Check out where to stay in Bristol and book an accommodation of your choice. How popular is The Red Lodge Museum? People normally club together New Room Chapel and The Cabot Tower while planning their visit to The Red Lodge Museum. If you're interested in history or design or old houses or just in people, then you should visit this fascinating house. The whole building is interesting but the oak room is magnificent. An original oak panelled room from 1570. If there's a guide fella sat in the corner when you visit, ask him about the house and the room. The information he has to share with you will transform your visit and give you a new perspective on the city. The place is owned and managed by Bristol City Council and it's free to get in though donations are welcome. If you visit Bristol you should go, if you live in Bristol, why haven't you been? It is free to enter. This house was built in 1580. The furnitures and decoration are protected in the original forms. The decorations of each rooms are different. You can see original oak panelling in the great oak room. Hidden gem. Lots of information in each room, dressing up, nice paintings. Small but lovely.